The EC&M (Electrical Construction & Maintenance) magazine has named the Delta T Alert sensor product of Delta T Engineering, a temperature monitoring electrical enclosures provider, as one of this year’s top products. Through a competition referred to as, "EC&M Product of the Year Tabloid Showcase," the magazine honors products that have good new product development innovations in the electrical sector. This recognition means that Delta T Engineering will be featured in the oncoming March 2010 edition of EC&M as well as the April edition of Electrical Wholesaling. President/owner at Delta T Engineering, Fred Baier, opined that the Delta T Alert sensor is developed in such a way that it assists in avoiding significant electrical failures and large financial loss and is pleased that their product has got due recognition. 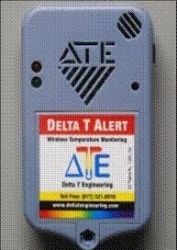 The Delta T Alert sensor monitors any increases in temperature within electrical enclosures on a daily basis, and transmits this information to a computer for the purpose of analysis. Ever since the product’s launch in 2009, the company has garnered large clients, including those located in the New York areas. Hartford Steam Boiler Inspection and Insurance Company (HSB) has indicated that the set up of Delta T Alert sensor has helped companies reduce electrical system malfunctions, which often leads to electrical fire. Baier added that the company’s sensor servers as a trigger alerting facility personnel in case of any system abnormalities, even before the occurrence of any system failure or in the worst case a fire.